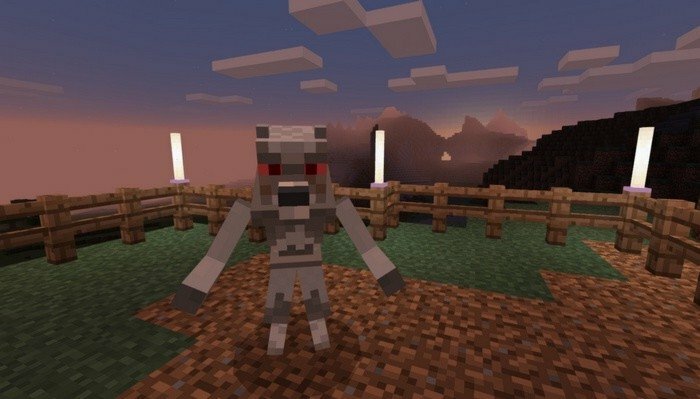 Replace five mobs in Minecraft PE 1.0.8 with scary and odd Mythical Creatures, using this addon. 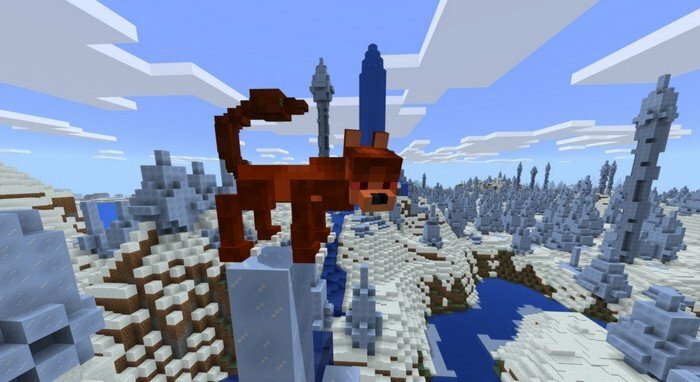 All mobs will be hostile and very dangerous, the most interesting among them, in my opinion is Werewolf, because of his ability to look like wolf during day and transform into monster at night. 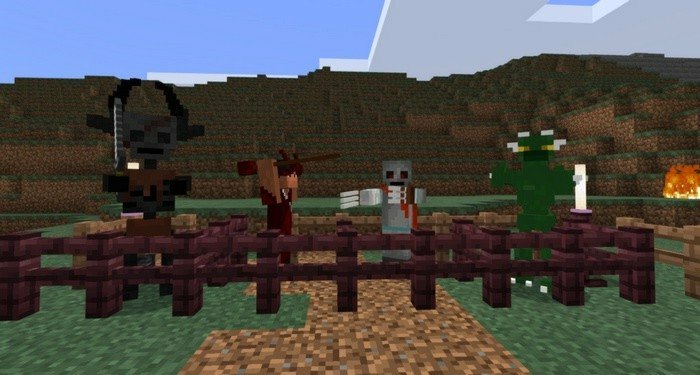 Changed mobs won't affect gameplay too much, so don't be afraid. Most of them will attack each other, due to their evil nature. 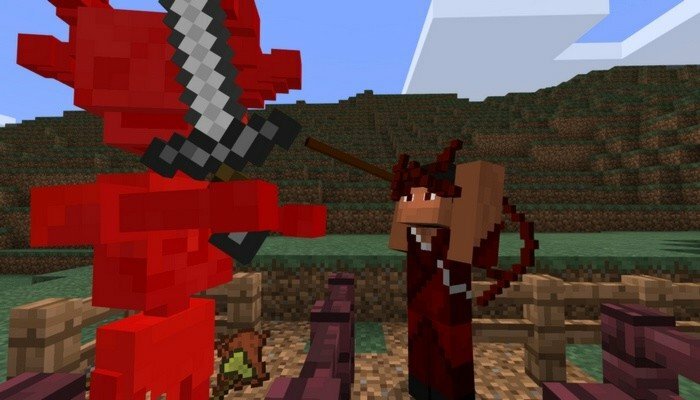 Chimera is a new mob that presents a bigger threat then it may seems at first, it has the ability to poison their victim using the sting. The creature is very hostile and reminds the mix of a cat and a scorpion. Reason: Added a new mob - Chimera.